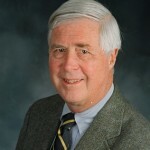 No, this is not the story of a baseball team savant, who doubted conventional statistics and reused them with extraordinary success (Moneyball). It is not a personal disclosure of the seamy underbelly of financial markets (The Big Short; Flash Boys; Liar’s Poker). Rather, it is the story of learning how our minds work, of behavioral economics, and of the unusual and highly prolific working relationship of two Israeli academics, who first met in 1960. It is the story of how an extrovert, Amos Tversky, and an introvert, Daniel Kahneman, stimulated and prodded each other over almost 40 years, first in Israel and then teaching in the United States on the West coast, then in the Midwest, and finally in the East, uncovering and describing the numerous biases that confuse our thinking. Each challenged the ideas of the other. In 1996, Amos Tversky died. In 2002, Daniel Kahneman won a Nobel Prize, one that almost certainly would have been awarded to Amos as well, had he been alive. 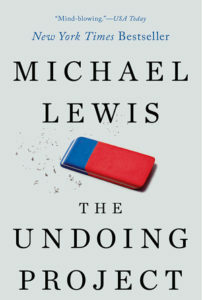 Editor’s Note: ‘The Undoing Project’ by Michael Lewis was published by W. W. Norton, New York, in 2017.